CLAYTON, Mo. 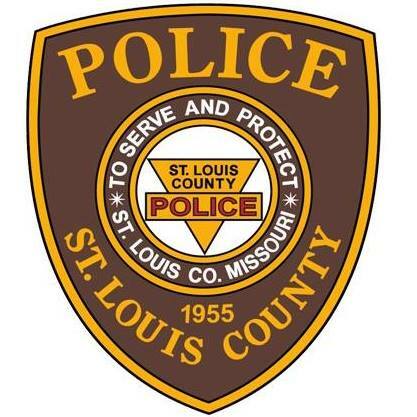 – St. Louis County Police Chief Jon M. Belmar announced the promotions of multiple positions on Wednesday. The promotions are Captain Bryan Ludwig to the rank of Lieutenant Colonel, Lieutenant Gerald Lohr to the rank of Captain, Sergeant Aaron Roediger to the rank of Lieutenant, and Police Officers Thomas Favazza, Ebony Miller, Edward Begley, and Brian Boedicker to the rank of Sergeant. Lieutenant Colonel Ludwig joined the Department in 1996 and is currently assigned to the Bureau of Tactical Support. He has served in the North County Precinct, the Bureau of Crimes Against Property, the Bureau of Professional Standards, the St. Louis County and Municipal Police Academy, the Bureau of Drug Enforcement, and the Municipal Services Unit. He earned his Bachelor’s Degree in Justice Systems from Northeast Missouri State University. Captain Lohr joined the Department in 2001 and is currently assigned to the Bureau of Tactical Support. He has also served in the Affton Southwest Precinct, Central County Precinct, City of Jennings Precinct, the North County Precinct, the Canine Unit, and the Division of Special Operations. He earned his Bachelor’s Degree in Economics from Vanderbilt University. Lieutenant Roediger joined the Department in 1998 with prior military experience and is currently assigned to the Office of the Chief of Police. Lt. Roediger has served in the Affton Southwest Precinct, the Central County Precinct, the South County Precinct, and the North County Precinct. He earned his Bachelor’s Degree in Criminal Justice from Columbia College. Sergeant Favazza joined the Department in 2000 and is currently assigned to the Bureau of Drug Enforcement. He has served in the City of Fenton Precinct, the South County Precinct, and the City of Wildwood Precinct. Sergeant Miller joined the Department in 2010 and is currently assigned to the North County Precinct. She earned her Master’s Degree in Criminal Justice from Lindenwood University and her Bachelor’s Degree in Criminal Justice from the University of Missouri – St. Louis. Sergeant Begley joined the Department in 2007 with prior law enforcement experience and is currently assigned to the Bureau of Drug Enforcement. He has also served in the Affton Southwest Precinct, the North County Precinct, the West County Precinct, and the City of Fenton Precinct. He earned his Associate’s Degree in Criminal Justice from St. Louis Community College. Sergeant Boedicker joined the Department in 1998 with prior law enforcement experience and is currently assigned to the Affton Southwest Precinct. He has served there as both a patrol officer and precinct detective.